Reggie didn’t have a long life, but he had a happy life. 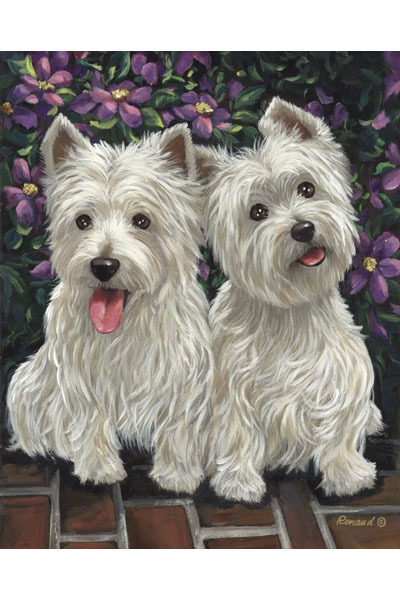 now, in his memory, his parents donate to Westie Rescue so that other Westies can share in that good life. Reggie is waiting at the Rainbow Bridge and smiling down on his Mom and Dad because he knows what they have done in his name. 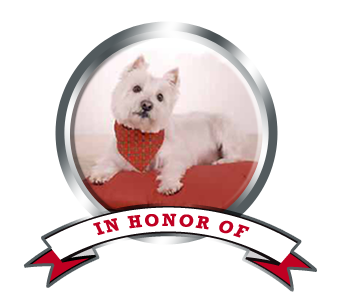 Memorial Donations may be made in the name of a special person or in memory of your pet. If this is in memory of a person, please include that person’s name, and the reason for the memorial. It has also been used to honor a living person for something special they have done. See the page for Special Memorials to see examples or to learn how to set up a bequest. For memorials for your pet, along with the check, please include a photograph of the dog, dog’s name, date of death (if applicable) and any other information you would like on his memorial. Please note that if others send in donations in your dog’s memory, a donation from you will not be needed but we will request the photo and information.If you would like to make the donation through Paypal, please go to the menu on the left and click on “Donations”. It gives a couple of methods of doing this. But please also send along the photo and information. Email us if you have any questions. This page is sponsored by Tim and Lisa Thomas in Reggie’s name.